I do enjoy making cards with apertures in them so I decided to use the circle part as the aperture for this card. I will be starting a new venture in the near future and this card seems quite appropriate. 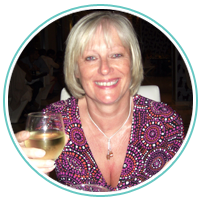 I will reveal all about the new venture shortly. This baby card was a joy to make and came together really quickly . The addition of embellishments such as pearls on the pram, ribbon and clear vintage button adds a finishing touch. What a sweet baby card! Great use of the sketch. Thanks for joining us at The Paper Players. 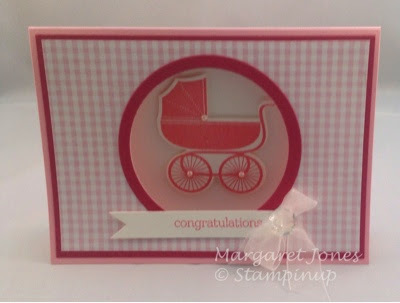 Your baby card is pretty in pink Margaret! Great use of this week's sketch - thanks for joining us over at The Paper Players this week!